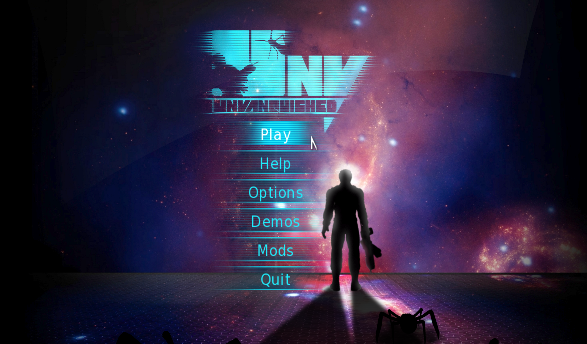 ‘Unvanquished’ is a free and open-source, first person shooter game that lets you take a part in a battle between aliens and humans. It is available for GNU/Linux, Windows and Mac OS users. You can choose any side at the beginning (either the aliens or the humans), and for playing the game, you will need an Internet connection. I’m not really a gamer (because of my low-end hardware that is :D) but I was really impressed by the quality of the graphics of this game when considering that it is completely free. 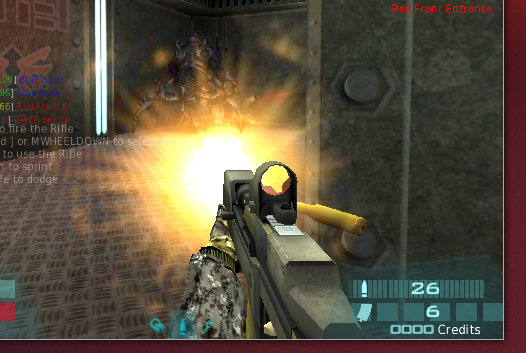 Even with my low-end GPU (Intel HD 3000), the FPS (frames per second) was around 100-120!, awesome background music, nice explosive effects … what can I say, it was delightful. Few days ago the game reached Alpha 11 stage, and it has brought numerous changes to the game according to the release page (better graphic effects, new layouts and maps, a more ‘intelligent’ computer playing engine etc). But for me, this was the first time I ever tried it, so I cannot do any comparing though. Anyhow, for those who have ‘limited internet connections‘ please be aware the game took around 671MB of downloadable data while installing!. Other than that, it worked right out of the box and I did not encounter any issues, even though it is still at Alpha stage. Thanks to the provided ‘.deb’ packages, installing it in those Ubuntu versions is really easy, and for the that, please follow the below instructions. 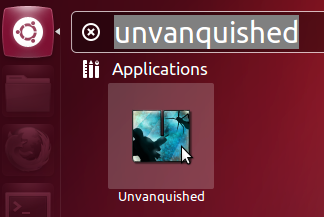 Open your Terminal window and enter the below command (we are adding the ‘Unvanquished’ game’s software repository into the package database in Ubuntu). This should open up the ‘sources.list’ configuration file of ‘apt-get’ (package manager in Ubuntu). Now, go the end of this file and create a new line (by pressing the ‘Enter’ key). Then, if you use Ubuntu 12.10, copy the below code and paste it into this file. Then save the changes and close it. If you use Ubuntu 12.04, then copy the below code instead and paste it. Then also save the changes and close the file. Now again, open your Terminal window and enter the below commands, one after the other. As mentioned above, this will take some time, and when everything is finished, you will be notified. Once the installation completes, you can search using its name in Unity’s Dash and launch it as shown below. By default, it does not play on fullscreen, plus, in my case the resolution was also set to a lower one. 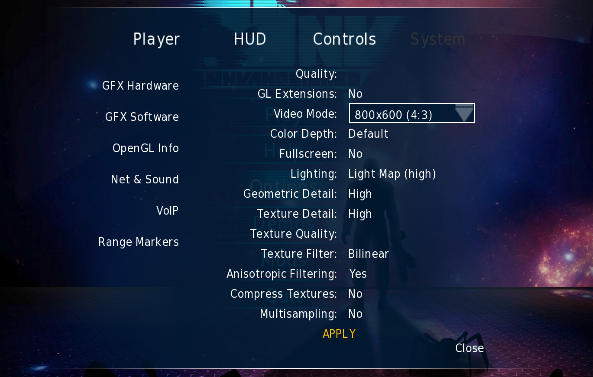 So once you see the game’s main menu, go to ‘Options’ -> ‘System’ and make your changes. Then rest is pretty much the same as you’d do with any other similar game. You’ll have to create a profile and a server for playing the game. If you need a list of available servers (including one that holds a ‘training’ simulation), please have a look in here. If you have the game installed, then whenever you click on the ‘Connect’ button, it will open the game through that server. And if it was the first time that you have opened that server, then it will download some data required for the game-play as well. For more information (troubleshooting etc), please visit this ‘Unvanquished’ home page. Enjoy!. How to Mount Windows 8’s OS Partition in Ubuntu (12.10 & 12.04), After ‘Hybrid Boot’ is Used? Games on Linux, I’ll take it. Cason, the web-line doesn’t seem to be working. Hopefully it’s a temporary thing and will get fixed soon. Until then, you can go to this page and then download the latest package version. Once the download completes (assuming that you have saved it into ‘Home’ -> ‘Downloads’ folder), enter the below command. I have not tried that method, plus, I’m not sure whether it’ll give you the latest version etc … so if you could, then wait for a day or two see if the official site goes on-line again. Good luck.